ioby’s Healthy Neighborhoods Challenge is launching loud and proud this week. 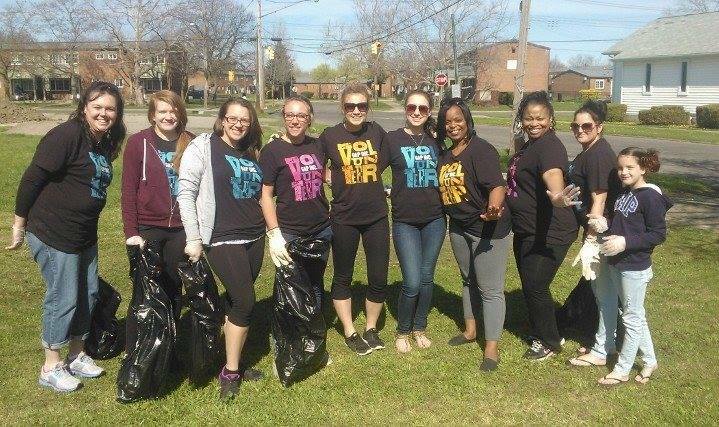 We’re super excited to be partnering with the New York State Health Foundation (NYSHF) to support citizen leaders in nine neighborhoods and cities across New York as they take an active role in creating a culture of health where they live. Extra excitingly, the first $200 of each gift supporters like you make to their campaigns will be matched dollar-for-dollar by NYSHF through September 30! 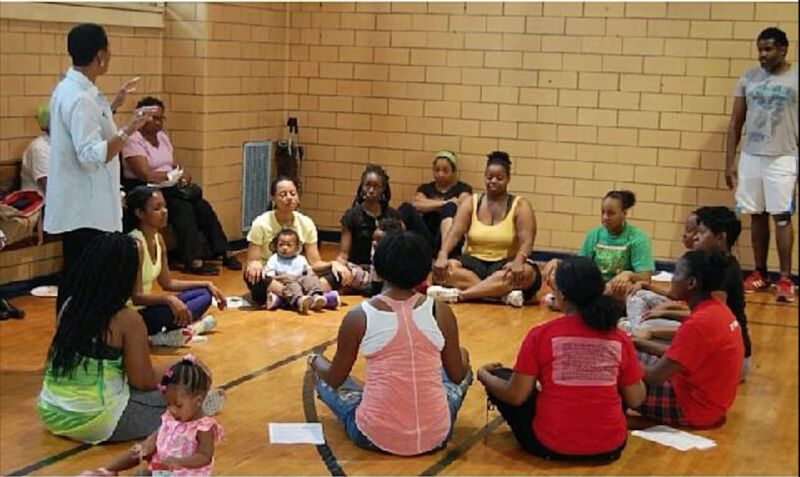 Learn more and browse all the awesome Healthy Neighborhoods Challenge campaigns, like Krishna who is creating a haven for moms in Brownsville, Brooklyn. Renee says her neighborhood isn’t “exercise-friendly”—it lacks bike paths and lanes, fitness equipment in parks, and healthy food options. “Our pocket park just has two benches in it,” she says. “Nothing to help you exercise, no signs that say, ‘Let’s get fit! This is how to do a push-up, a pull-up, a sit-up.’ We also have junk food on every corner; it’s only, ‘Get a soda, get something to microwave.’ I want people on the street to sell salad and fruit and water instead of a hot dog. Something that’s pretty on a plate, not a hot dog with sugary condiments on it.” Niagara Falls is also not very walkable, Renee says, and her neighborhood is bookended by two major hospitals. “That sends the message that we’re sick people, and we stay sick,” she says. 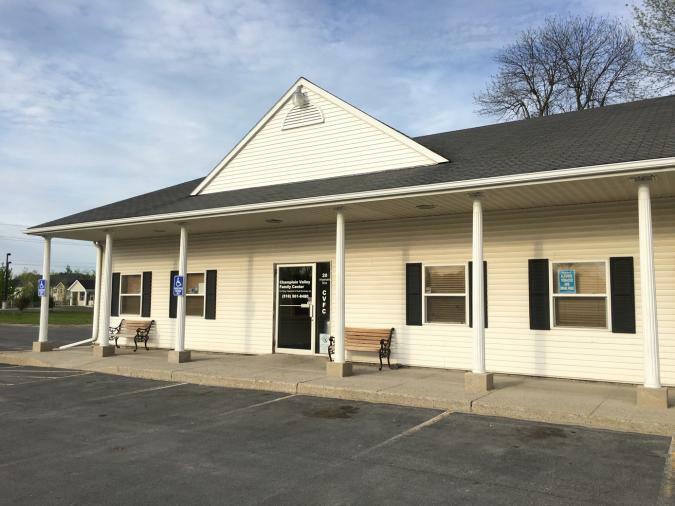 For almost 35 years, CVFC has provided treatment and prevention programs for people struggling with substance use addiction, and their families. They offer both education- and community-based programming, and are now adding a third dimension through their Healthy Neighborhoods Challenge project: Champlain Valley Family Yoga. 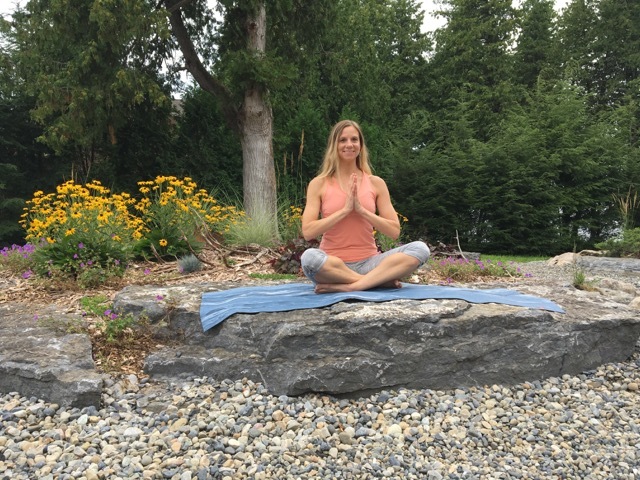 Adding yoga classes to CVFC’s roster of services is a multi-phase plan that began with staff member Emily Cole’s desire to earn a yoga training certificate. Conversations with her colleagues generated the idea that she could eventually lead yoga classes for their community, in their space—if only they had the right space… Perhaps providentially, CVFC recently purchased the second half of the building they occupy, and the New York State Office of Alcoholism and Substance Abuse Services will be working with them to renovate it this fall. The overhaul includes plans for a yoga studio and library of yoga-related books and videos. 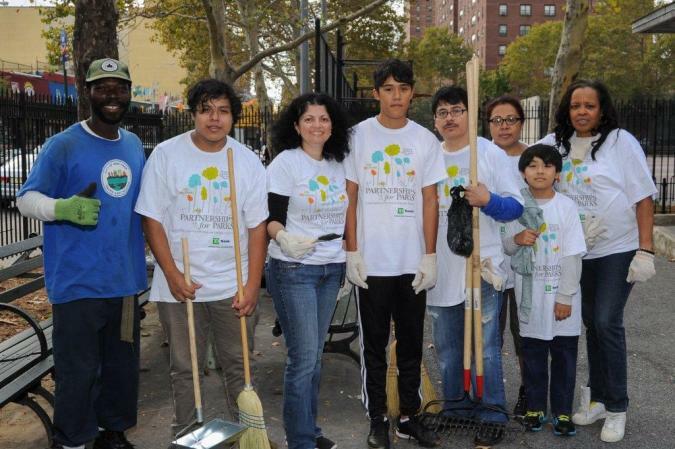 Bringing the Peace continues the beautification and community-building work Linda started in Drew Park, a playground near her home in the Claremont neighborhood of the Bronx, a few years ago. 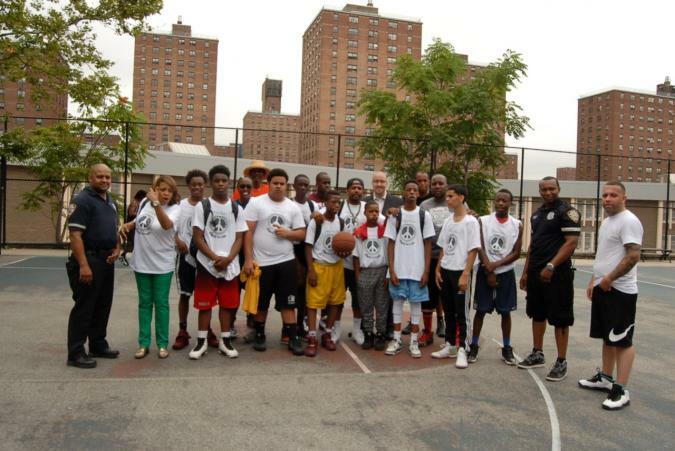 This past July, she organized a Bring the Peace basketball game, where neighborhood youth and officers from the 42nd Precinct faced off on the court. The youngsters won 54-50 and were naturally elated, but Linda says for the rematch she planned for August, she decided to mix the teams up. “The coach was mad at first, but I had to tell him gently, ‘No. We’re bonding here. We’re breaking barriers so we can have a healthier community. We’re not against each other; we have to learn to work together.’ And you know what? The kids and the police played so well together.” Linda says the officers brought the young players a new basketball, some “old timers” from the neighborhood joined in the game, and she got some new recruits for her park beautification efforts in the process. “So now we need to sustain this success,” she says. “If you’re not persistent, it goes away.” Linda’s planning another community game for September or October, and will continue her park improvement efforts through the fall and winter with some bright-colored painting, new plantings, and a lot of mulch. “By the time we’re done, this place will look like Central Park!” she says. “Our school, CPE II, is located in a diverse and vibrant neighborhood. 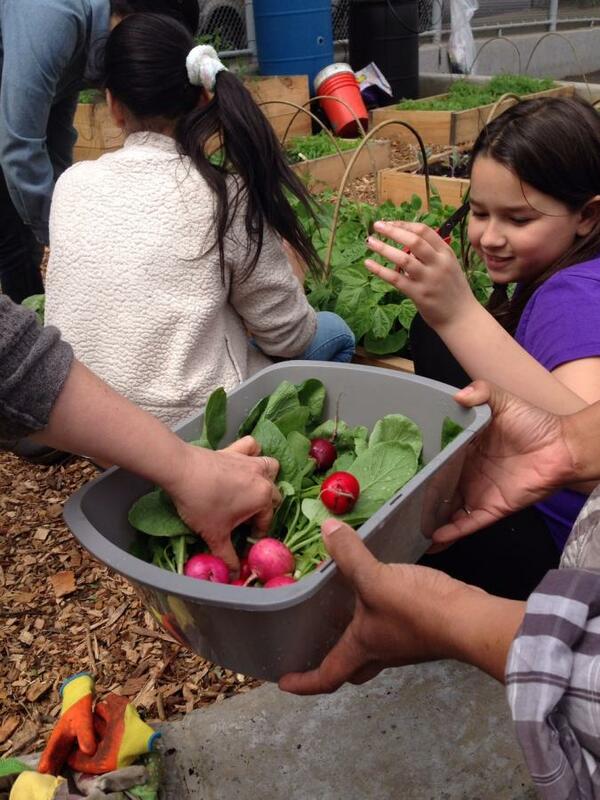 There has been enthusiasm around our schoolyard garden, and this project will create a resource that will build even more community around good food,” said Anat Grosfeld, a parent, resident of Harlem, and one of the leaders of the Healthy Neighborhoods Challenge project Bring a Kitchen Classroom to CPE II. 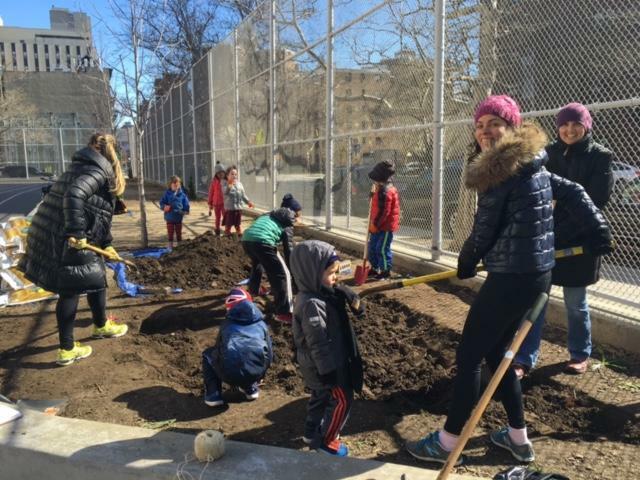 Anat and fellow leaders Miyonna Milton and Liz Simmons have all been active participants in the schoolyard garden at Central Park East II School in East Harlem, a co-located elementary and middle school. Anat says that parents and teachers successfully got the garden up and running, but then ran into a dilemma: there was no dedicated place to store or prepare the fruits and vegetables it produced. “We organized several events where parents came in to prep and pass food to the kids, but it was not the ‘360 experience’ we wanted them to have, where they were planting, harvesting, preparing, and then eating the food.” Despite space constraints, the group was eventually able to secure a room in the school for produce storage, kitchen equipment, and food classes (it also doubles as an art room, but it’s space nonetheless). The funds they raise through the Challenge will go toward purchasing appliances and utensils, and possibly to enriching the school’s “kitchen education” offerings. One of the project’s aims is to integrate learning with eating. “Lunchtime here is typically a get-in, get-out affair,” Anat says. Her goal is to get students—and teachers—cooking and eating mindfully so that mealtime can still be learning time, not just a rushed break between classes. Another goal is to eventually use the kitchen classroom for afterschool and evening food classes for families and friends. 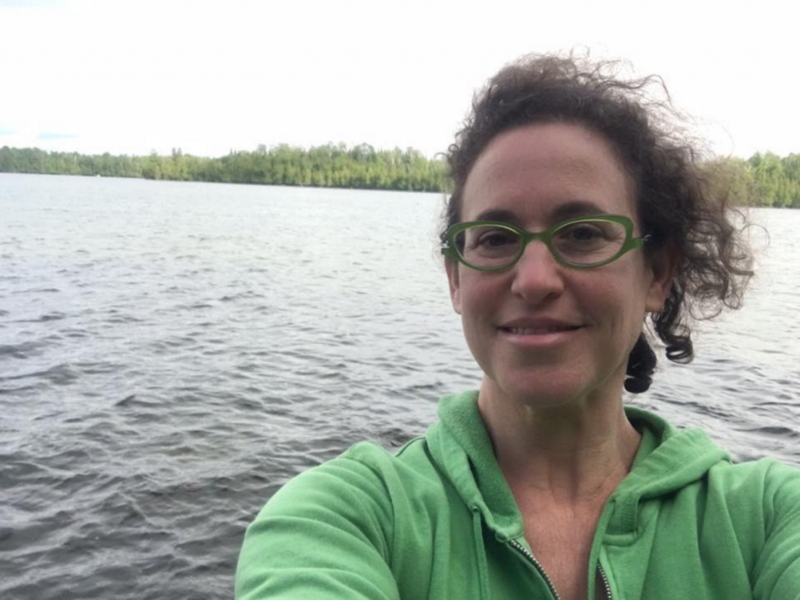 “As the project gets off the ground and we find ways to bring our neighbors in more—with events like parent cooking workshops and expert talks—community participation will be key to strengthening and sustaining the whole thing,” says Anat. Feel inspired? Want to take action in YOUR neighborhood? If you have awesome ideas about how to make your town greener, safer, and more fun, let us help! Tell us your awesome idea right here. We’d love to help you get started today. The Healthy Neighborhoods Challenge also hits another important note for us: like all ioby projects, it puts real resident leaders in the driver’s seat. We believe that the people who live in a neighborhood know what’s best for it, are poised to be its best stewards, and should be encouraged to step forward and take a leadership role in its development. They’re most in touch with what their community needs, and have the biggest stake in making it better for the long run. We hope you enjoy these profiles of some of The Healthy Neighborhoods Challenge’s coolest projects. See them all at ioby.org/healthy, and remember that your gift will be matched until the end of this month! “We mothers don’t get a lot of our own time,” Krishna explains. “This is a moment to be ourselves, and to do something good for ourselves.” Her monthly wellness workshops will feature three workout stations, a chef preparing healthy meals (“not just salad!”), a Reiki practitioner (“to read people’s energy and help them refocus”), and a DJ (“it is a party, after all!”). There will also be HIV testing and on-site babysitting—at no charge. Krishna grew up in Brownsville and enjoyed an active childhood—playing tennis and dancing with Dance Theatre of Harlem‎—that continued into her adult years. When she was 30, her husband was diagnosed with diabetes, which was a big wake-up call. “We realized it’s not just an old person’s disease,” she says. Krishna started talking to people about diabetes and about how they could heal from its effects by leading a healthier life. She even started a blog about healthy living, Baobab Wellness, and readers began to ask her why she didn’t hold a workshop or class. First she replied that she didn’t have the time, but finally she tried organizing one event, and it was a smash hit. So she kept going. 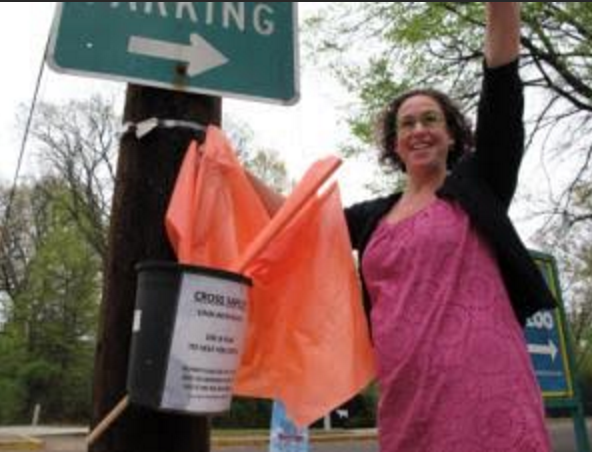 Learn from a Leader: Help peds walk safely with crosswalk flags! Many factors contribute to our health, including genetic predispositions, access to quality medical treatment, and even the amount of sleep we get. But have you ever thought about how your neighborhood affects your health? “Social determinants of health” is the term for every external condition in which we are born, grow, work, and age. These include our relationships with family and friends, our employment opportunities, our socioeconomic status, and—of particular interest to ioby—our neighborhood amenities, like public transit, affordable fresh food, exercise options, and nutrition education. People who live in zip codes that have these things are likely to enjoy good health; in areas without them, residents are likely to struggle with with chronic illnesses like obesity and diabetes. The good news about these neighborhood-based social determinants of health is that we have the power to change them! Every day, citizen leaders (like you!) 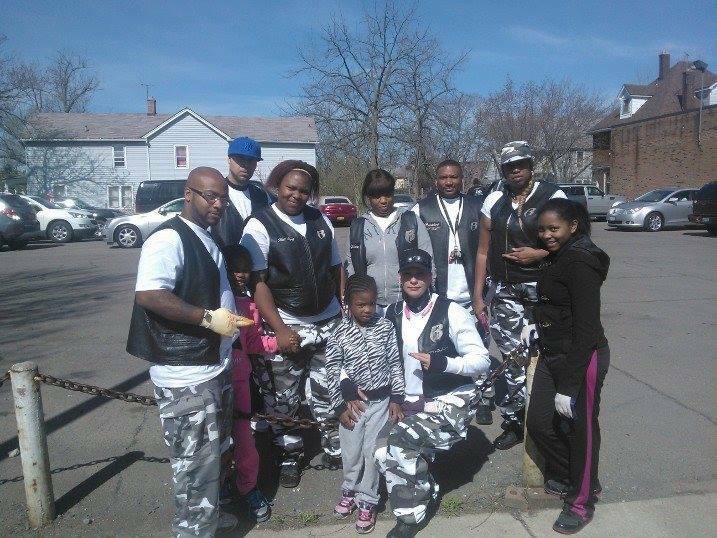 are taking small steps toward big change by making their neighborhoods healthier, one block at a time. And this summer, ioby is partnering with the New York State Health Foundation to help local leaders in nine regions get their ideas for healthy change off the ground by providing fundraising training and dollar-for-dollar matching funds! Read more about the Healthy Neighborhoods Challenge and how to apply. Want to get involved but need some inspiration? 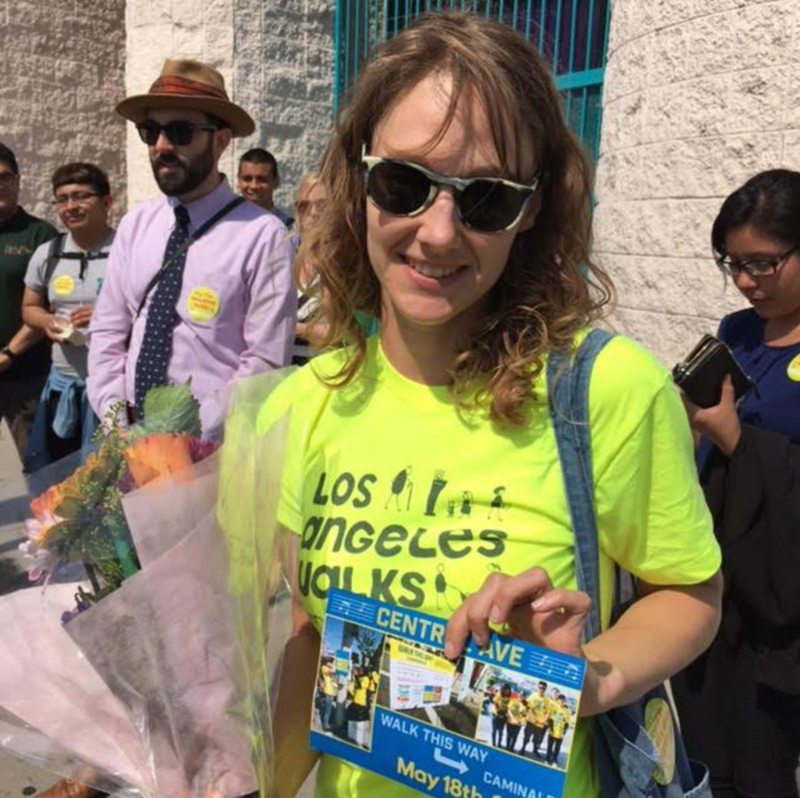 Our Healthy Neighborhoods Challenge Learn from a Leader blog series is profiling past ioby Leaders whose projects exemplify what we’re looking for from applicants: projects that focus on healthy food, active transport, green spaces, fighting disease, or some combination. Read on, and imagine how your neighborhood could benefit! Crosswalk flags are sweeping the nation! Pick up a brightly-colored, reusable flag before you cross a busy street, look both ways, then deposit it on the other side for the next pedestrian. The flag will increase your visibility in the moment, and raise general awareness that peds are around—and have the right of way. Picture it. 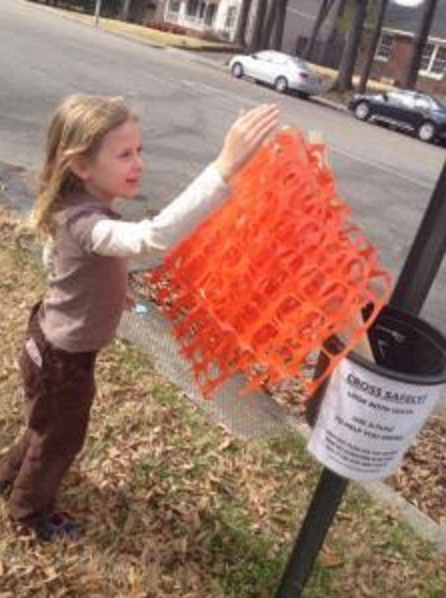 Locate the intersections in your neighborhood that could benefit most from crosswalk flags. Busy places where there is a crosswalk already but no traffic light or stop sign are usually good candidates. In our case, we started with the intersection that’s the main entrance for Overton Park and the Memphis Zoo—it was crazy that it was so hard to cross there, as so many pedestrians use it! Picture it 2. Now locate some cute kids—I used my own cute children, of course—and take pictures of them looking sad because they can’t cross the street, then looking happy while using the flags to cross more safely. You can use these images to help explain and publicize your project. Reach out. I was able to raise all the money I needed in a day or two by pinging people on Facebook who I knew were frustrated with the same situation. “Hey fellow PTA mom—how do you like not being able to cross the street to reach the park?” Appeal to people first who you know have had the same problem. Then, as soon as they donate, shout them out on social media and ask, “Who’s next?” Keeping that process up is pretty easy, and it works! Place your order. Search online for “buy safety flags” and a bunch of results will come up. Try to get flags that match your city’s pedestrian signs for consistency: most are orange or bright yellow. 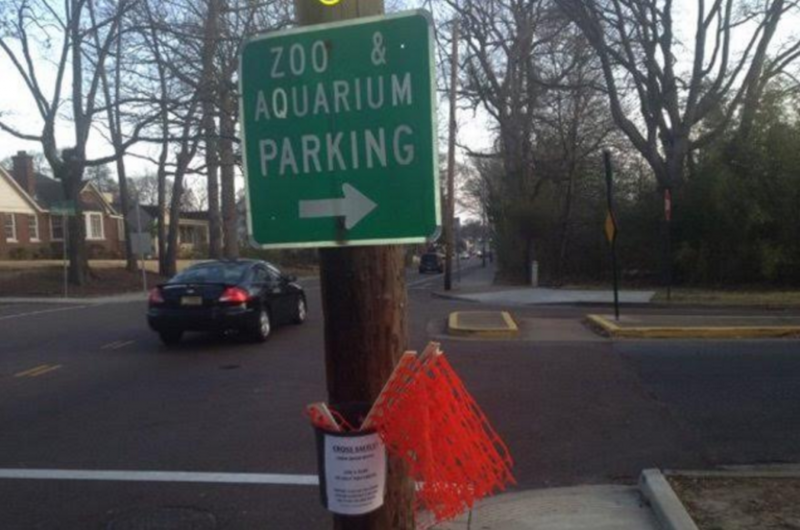 Affix your buckets to the nearest pole to the crosswalk on both sides, so people are sure to see them. This is a quick project to start up—you could do it in a month—but the maintenance is ongoing. I still monitor the flags and replace them when they get faded (more common) or stolen (less common). I did not come up with this idea—lots of cities around the country are doing it! 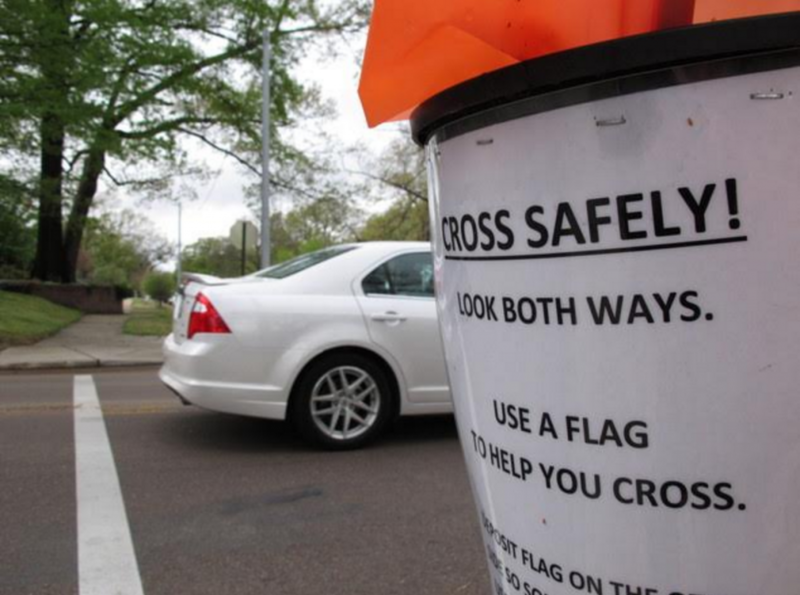 Just search online for “crosswalk flags” and see what they’re up to; systems keep improving. I particularly liked reading about Kirkland, Oregon’s PedFlags. Sarah Newstok lives in Overton Park with her husband, three kids, and dog named Cleo. She is in charge of Special Projects at Livable Memphis, and enjoys bike riding, spending time in nature, and adventurous travel. 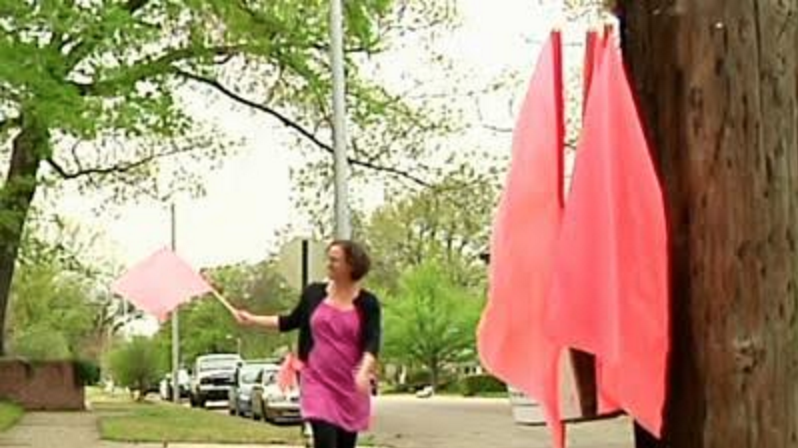 Feeling fired up about crosswalk flags, or another project that could make your neighborhood healthier? Learn more about the Healthy Neighborhoods Challenge and apply for fundraising training and matching dollars now! 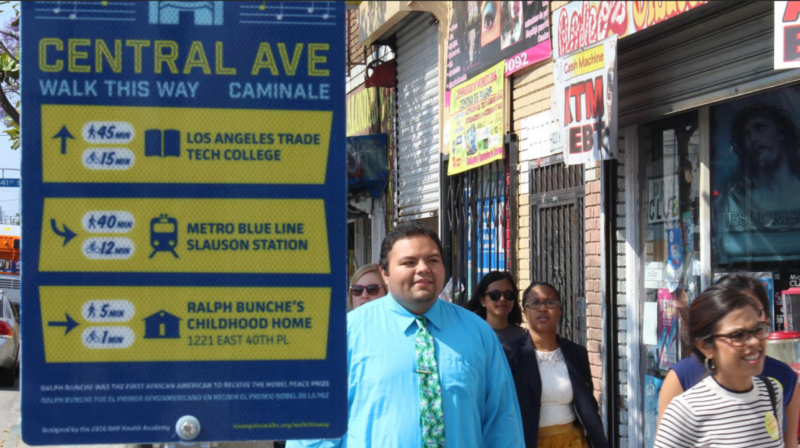 Walk This Way, Caminale is a series of street signs on historic Central Avenue in Los Angeles, developed by local students from Jefferson High School, that tell pedestrians how long it takes to walk or bike from where they are to nearby amenities, landmarks, and neighborhoods. The signs aim to get people walking and biking for longer distances than they thought they could, and to change the perception that Los Angeles is impractical to navigate without a car. Don’t go it alone. Identify some community partners. 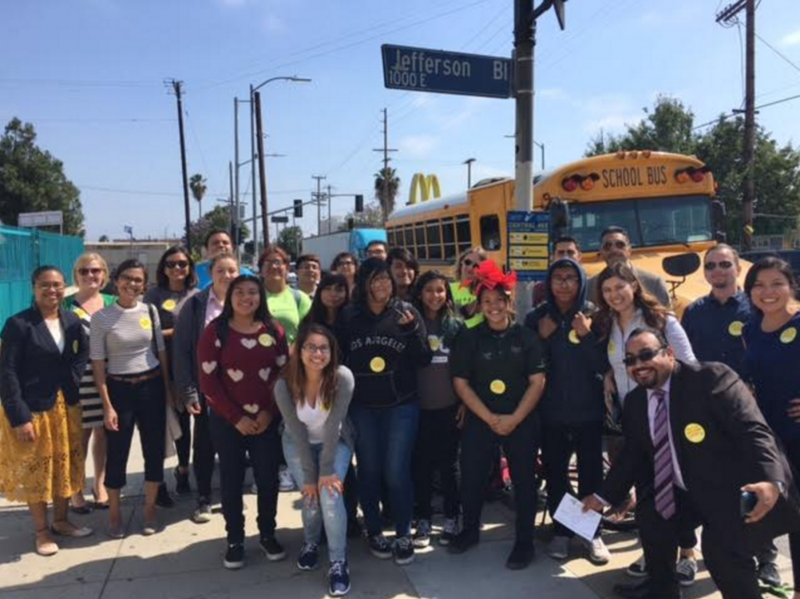 We wouldn’t have succeeded if we hadn’t worked with the National Health Foundation (NHF) and their Health Academy students at Jefferson High, as well as the City Council Office, and numerous other community organizations in the area. Approach organizations who work in your target neighborhood and know it well. Design-a-Sign. Involve your community partners (and a professional designer, if you choose) in deciding what destinations to include on your signs, and the language and symbols to describe them. 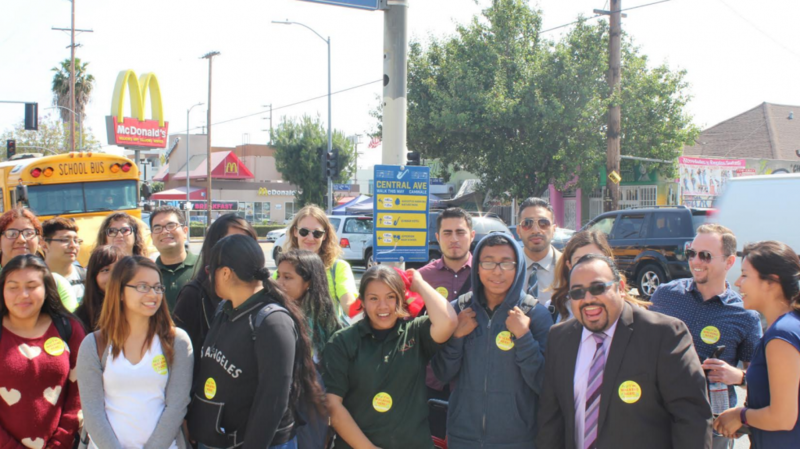 Get outside and do a “community asset walk” together to identify a well-rounded collection of places: parks, historic sites, city offices and community spaces, farmers markets, adjacent neighborhoods, etc. (We didn’t shout out specific businesses, but did say things like, “Healthy tacos: 15 minute walk.”) Then talk about your color palette, font styles, and icons (what symbol should represent a green space? a historic site?). You can tailor these choices to your area—in our case, we thought about how to represent South Central’s rich jazz history in our signs’ design. Locate & fabricate. We worked with L.A.’s Department of Transportation (DOT) to identify the best locations for our signs. It’s important to get expert help with this so your signs don’t wind up interfering with existing city signage, traffic lights, or other infrastructure. DOT can also advise you about how best to install the signs for maximum longevity. Then, we worked with a vendor recommended to us by DOT to fabricate our signs. Install & enjoy! Our sign vendor helped our students to install the signs, which can be a great hands-on learning experience. And NHF organized a post-installation community walk to show the signs off; students were invited to present to attendees about their role in the project. The work of surveying, designing, fabricating, and installing took us a few months. Depending on the size of your city and the number of partners you work with, the outreach piece can take longer, since there’s a lot of back-and-forth communication. Altogether, maybe six months. We raised about $8,000 through our ioby campaign and spent about $7,000. Paying for professional design and fabrication help accounted for roughly half the total; most of the rest went to outreach activities like organizing events, making copies, buying materials for design sessions, getting maps, printing surveys, etc. Budget a few hundred dollars for each event, and a thousand or more to hire a professional designer. In general, we got a lot of volunteer help; your costs might be higher if you have to pay for more things out of pocket. – Walk This Way, Caminale was based on the Walk Your City signage in Raleigh, North Carolina. Their Sign Builder lets anyone design signs for their neighborhood! – Their founder, Matt Tomasulo, had a lot of good advice for us about where to put our signs and what they should say. Colleen Corcoran is a graphic designer from Texas, living and working in Los Angeles on projects that examine the use of design as a tool for education and positive change within the urban environment. She works with various community organizations and public agencies on projects that promote active transportation, human-centric public policies, and economic and social justice. 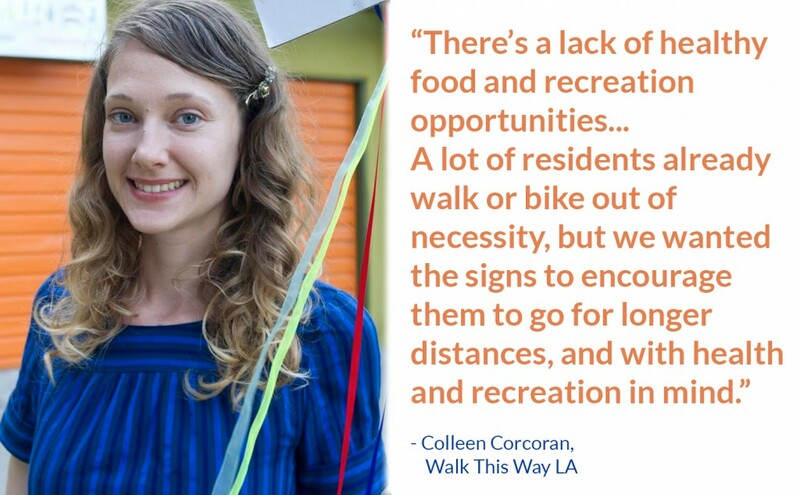 Colleen is a co-founder of LA’s regular open streets event CicLAvia and currently serves on the steering committee of the pedestrian advocacy organization Los Angeles Walks. She can also be found along the banks of the Arroyo Seco or the window seat of the Metro bus. 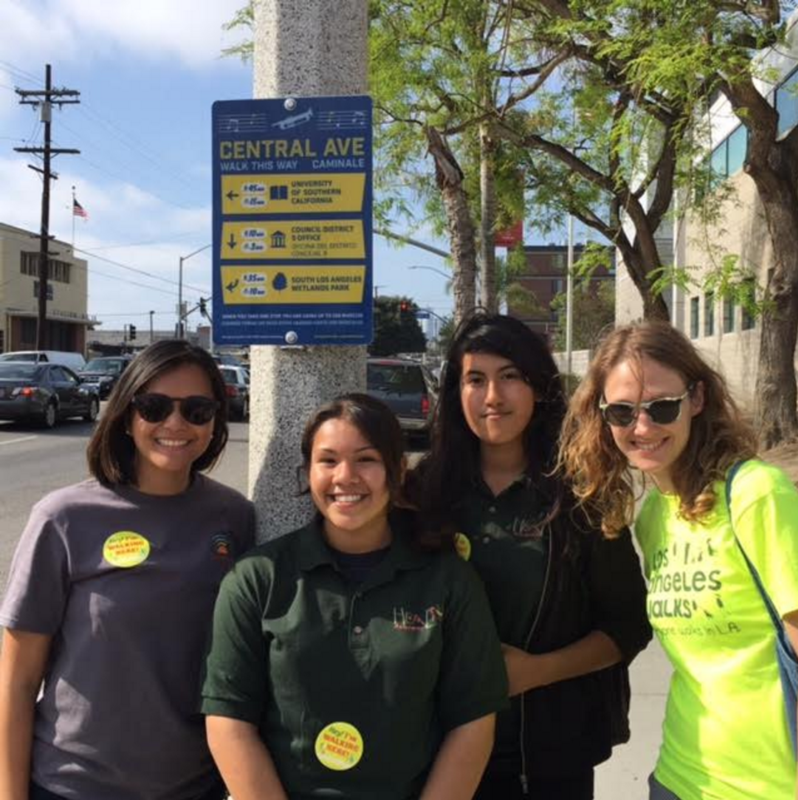 Feeling fired up about time-to-walk signage, or another project that could make your neighborhood healthier? Learn more about the Healthy Neighborhoods Challenge and apply for fundraising training and matching dollars now!